Nights of Azure was beloved here at DDnet, as evidenced by Matt's review where he gives high praises to the game he describes as "truly operatic in tone." Needless to say, I am tickled pink and unsurprised to announce that a sequel to the Gust title is leaving Asia later this year and gracing Westerners with its presence. Titled Nights of Azure 2: Bride of the New Moon, the game takes place in a demon-ridden fictionalized version of a Western European city in the late 18th century. The protagonists are Alushe – a knight protector – and her two childhood friends, Liliana the priestess and Ruhenheid the holy knight. Alushe is killed while guarding Lilliana, but awakens to find herself as an artificial half-demon thanks to a dark religious organization. Nights of Azure 2: Bride of the New Moon will be released for PC via Steam, PlayStation 4, and the Switch. The launch date set for all platforms is October 24, 2017. This will be Koei Tecmo's first published Western Switch title, one of which I completely approve of! At DDNet, we are all quite tired of games featuring zombies. There is just nothing more cliched, and, frankly, dull, than shambling hordes of monsters muttering on about “brains” and crashing through windows for one jump scare after another. That being said, put girls in unmentionables into the aforementioned zombie games, and suddenly we’re quite interested. And against all odds, School Girl Zombie Hunter is actually getting an English release. A D3 game back in Japan, it’s being published by Aksys in the West. I actually played this at Tokyo Game Show last year; it’s a lot of fun. As the name suggests, it’s a game set in a school that has been plagued by zombies. Your job is to shoot them down by the hordes, while not letting them get too close. Not because you’re worried about them chowing down on your brains though. Oh no. 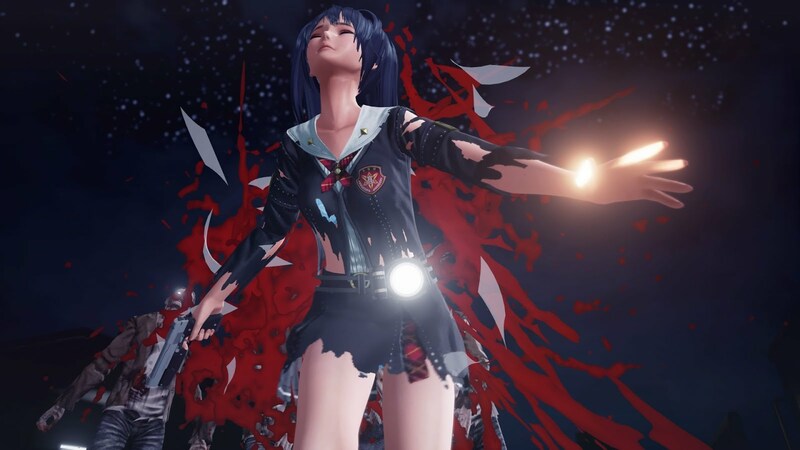 In this one the zombies are a threat because their clawed hands will rip your character’s uniform right off, leaving her wearing nothing but lingerie that is probably not appropriate to wear to school in the first place. This game is going to be absolutely torn to shreds by the… “decent”... media when it releases later this year, but it is a whole lot of fun and utterly trashy. It’s just one of those delightfully B-grade exploitation games that you can’t help but laugh along with. Zen Pinball 2 has been something of a hobby for the DDNet team for many years now. We played it back on the PlayStation 3, then the Vita, and then the PS4. As competitive sorts the allure of trying to top those leaderboards was just irresistible. And that’s why we’re looking forward to the recently-announced sequel, Pinball FX3, by developer Zen Studios. In Pinball FX3 you’ll have the ability ability to create their own pinball tournaments, compete in player vs. player match-ups and leagues, and compete in a variety of score based objectives that refresh constantly so there is always a new challenge awaiting. Sounds a lot better than stuffy old leaderboards, right? No release date just yet, but the game is coming to PS4, Xbox One, PC, and Mac. I've been obsessed with Little Witch Academia for a short time now, enhanced by Friday's Netflix release of the first season of the anime by Studio Trigger following two short films set in the universe. That obsession just got a little bit larger, Bandai Namco took advantage of its presence at Anime Expo 2017 to announce the game's Western release, separating the announcement from the E3 craze while still being represented at another large conference. The series follows Akko, a girl inspired by a famous witch (Shiny Charity) enrolled at Luna Nova Magical Academy. Akko is, of course, a total clutz who often finds herself in wacky situations that she can always sort out with the help of her friends. 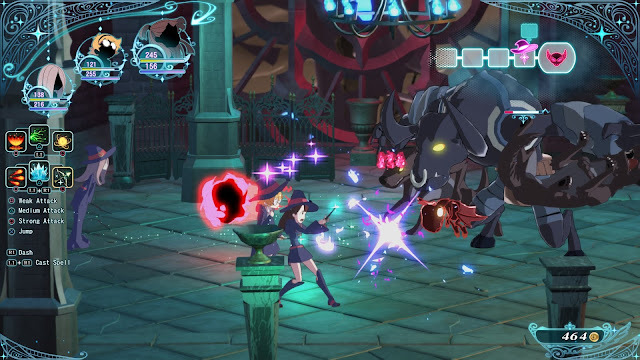 The first game based on the witchy world, Little Witch Academia: Chamber of Time, is described as an action RPG beat 'em up with an original story from the studio behind the anime series. Chamber of Time is set in the school shortly before summer vacation, where Akko and her classmates need to solve the mystery of the Seven Wonders. Little Witch Academia: Chamber of Time is being released in Japan on November 30, whereas the aforementioned announcement is that it will receive a Western release in early 2018. It will be released simultaneously for PC and PlayStation 4. I am beyond excited that the game's Western release – similar to the timing of the anime – won't be too far behind the original release. My ear is to the ground about this one, so I'll do my best to keep everyone updated in the future!